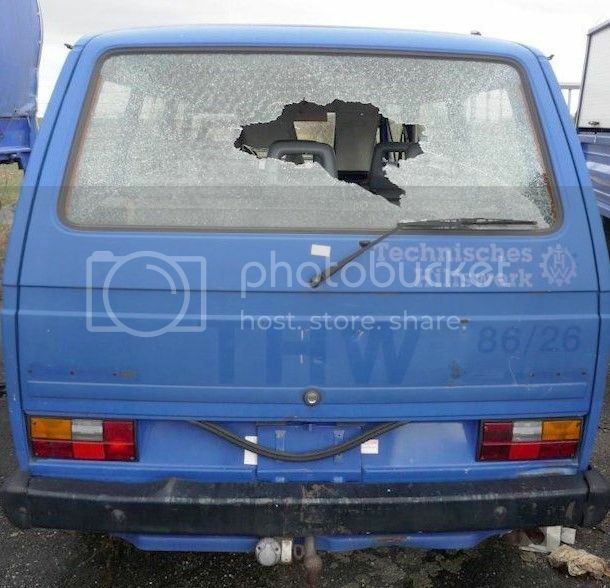 Vandals entered a THW compound on a February weekend and inter alia smashed the rear window of this crew carrier. The fact, that it already has been decommissioned might have been the intention for those 'heroes', who knows? "Heroes" indeed, mindless idjuts! Bus looks pretty good apart from the obvious damage. Is it for sale?